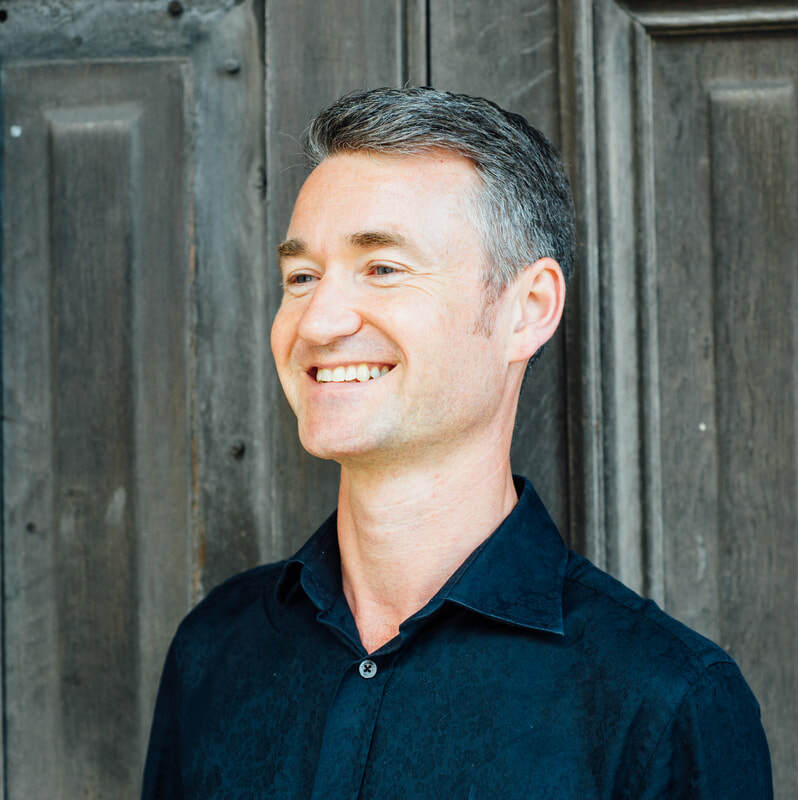 Our concert next Saturday is the final concert in this current series and we are delighted to welcome the Gould Piano Trio together with the clarinetist Robert Plane. 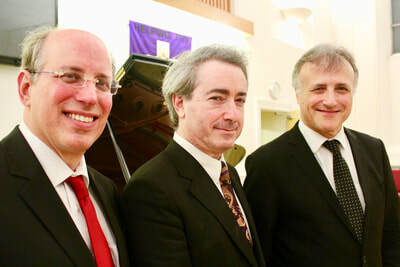 The Gould Piano Trio - Lucy Gould (Violin), Richard Lester (Cello), Ben Frith (Piano) directly compared to the great Beaux Arts Trio for their “musical fire” and “dedication to the genre” in the Washington Post, have remained at the forefront of the international chamber music scene for a quarter of a Century. The Gould has made extensive tours of N. America, the Far East and New Zealand, and has performed throughout Europe. 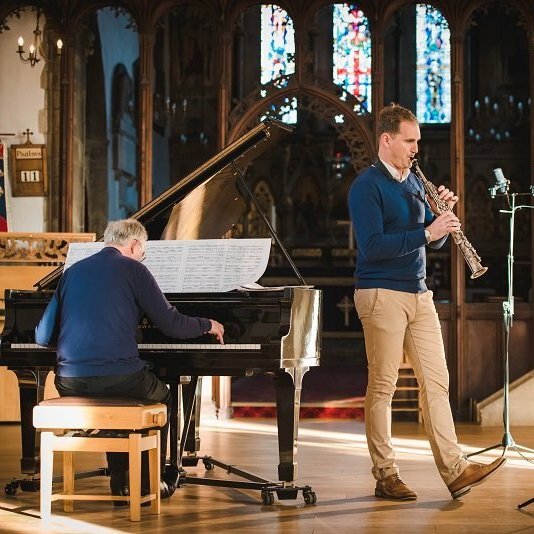 In addition they have given master classes at the Britten Pears Young Artist Programme, Dartington, RWCMD and the Guildhall School of Music and Drama where they enjoy discussing interpretation with the most promising young ensembles of our day. 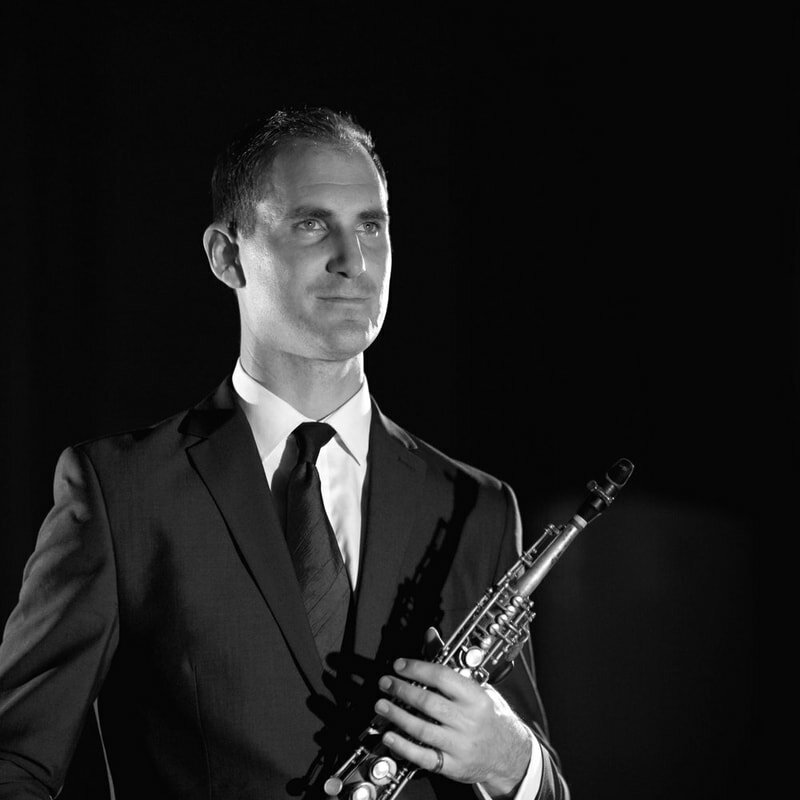 Robert Plane’s hugely varied career has seen concerto appearances in Europe, Asia and the USA, with performances of the Mozart Clarinet Concerto in Madrid with the City of London Sinfonia, Beijing with the BBC National Orchestra of Wales and in the USA with the Virginia Symphony. He made his BBC Proms debut at the Royal Albert Hall in 2011 with Simon Holt’s double concerto ‘Centauromachy’. 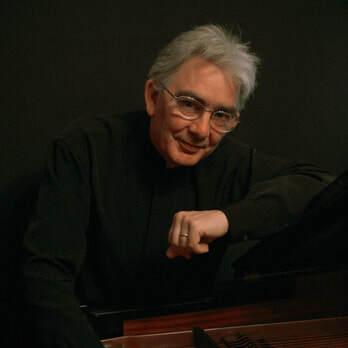 Exploring a wide range of repertoire and commissioning new works, highlights of past seasons have included Piers Hellawell’s Agricolas with the Ulster Orchestra and RTE Symphony Orchestra, Finzi with the Zurich Chamber Orchestra, Christian Jost with the Dortmunder Philharmoniker and Stanford with the Bournemouth Symphony Orchestra. Their programme includes the Trio for Clarinet, Piano and cello by Louise Ferrence together with works by Theodore Kirchner, a new work by the Welsh composer Huw Watkin and the Brahms Piano Trio Op.8 in B major. A terrific programme so do join us on Saturday at 7.30 pm at our usual venue. Music societies around the UK have long been able to benefit from young musicians who have been sponsored by charitable organisations dedicated to the development of artists at the outset of their performing careers. This legacy has enabled concert promoters to devise concert seasons that include such award holders, thereby easing to some degree their financial constraints. One such organisation is the Countess on Munster Trust which for many years has funded further study and concert fees for young artists. 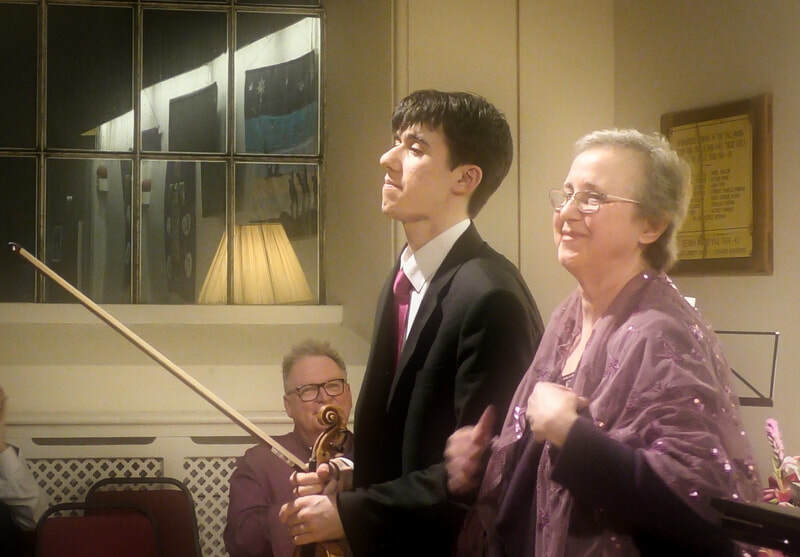 Whitstable Music Society was able to take advantage of this scheme for their last concert when it hosted the exciting young violinist Emmanuel Bach. 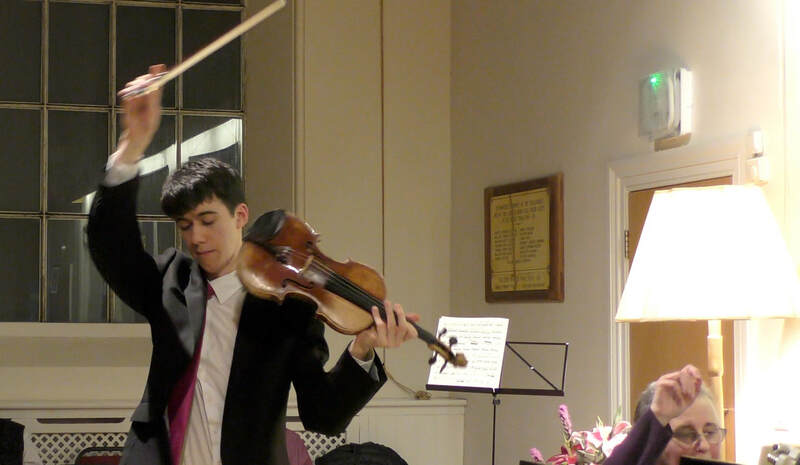 He is a graduate from Oxford and The Royal College of Music and is rapidly showing himself to be a bright hope amongst British string players. His talent, depth of musical perception and knowledge were well in evidence across a wide repertoire. Thus, in Bach’s exposed and challenging unaccompanied Sonata in A minor, BWV 1003, the textural clarity and sense of phrase structure revealed a mind fully aware of early music performing practice. The affecting delicacy of the slow movements were off set by the energy and rhythmic direction of the long fugue and final Allegro movements. All the wide contrasts of mood and colour in Beethoven’s G major Sonata were clearly pointed. Here, Mr. Bach was more than ably accompanied by Jenny Stern, a pianist of extensive experience at this level. This work is very much a duo of equal partners and the shared understanding of the protagonists was palpable to all. 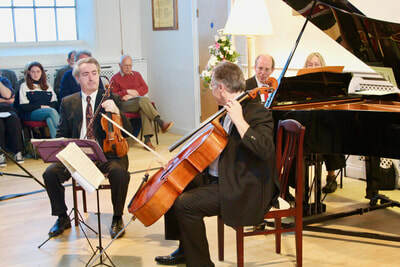 After the interval the audience was introduced to the Sonata No. 3 by an unknown composer from Russia named Lera Auerbach. This one movement piece had a variety of moods which were expertly dispatched with an obvious sense of involvement. The more demanding Sonata (1917) by Claude Debussy, in which the composer makes conscious use of the great heritage of French compositions from the 17th and 18th centuries, received a colourful and cogent reading with, once again, a high level of ensemble and shared musical understand from both performers. A delightful evening closed with Ysaye’s Caprice on a piano etude by Saint-Saens. The Belgian composer Ysaye was one of the foremost violin virtuosos of his time and his violin works, in particular his six unaccompanied sonatas are regarded as the ideal response to those by J.S. Bach. 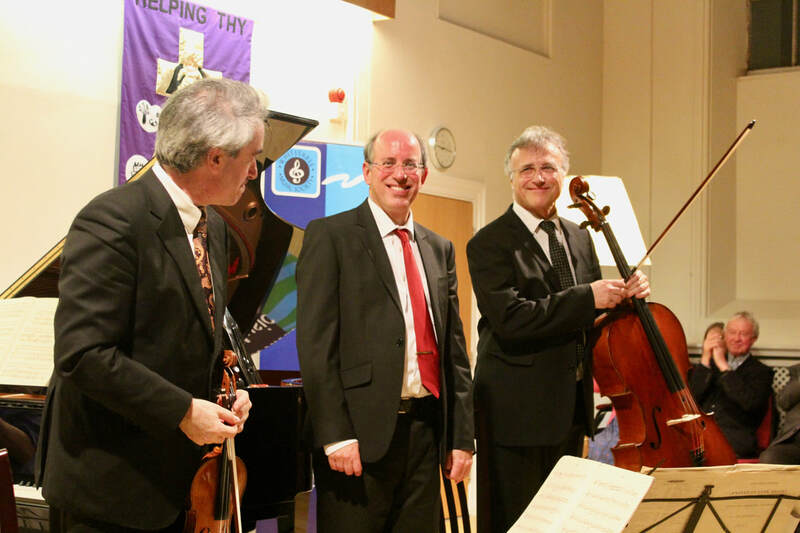 The delightful Caprice focusses on unbridled violin virtuosity and fun, the combination of which Emmanuel Bach cleared revelled, bringing a delightful evening to a rousing conclusion. The unaccompanied opening piece was the perfect introductory showcase for the soloist’s technical mastery. From the large leaps in register obvious in the first bars to the lyrical simplicity of the third movement, we were reminded of Bach’s unique music: full of challenges and creative possibilities, so well captured in tonight’s rendition of the sonata. The well-versed dialogue violin-piano is evident throughout the piece, from the Allegro assai in 6/8 time to the light-hearted Allegro vivace finale. The musicians captured the tempestuous or the more delicate passages with suitably balanced aplomb. The mournful introductory notes by piano are soon followed by delicate sounds and elegiac violin tones. A mixture of contemporary sound and familiar reverberations, the soaring harmonics skillfully captured the mystery of a less known piece. Premiered a year before Debussy’s death (with the composer himself on the piano), the intricate and subtle mixture of moods and emotions that exude from the entire piece have expressed the intended melancholic theme. Extravagant and mischievous, the piece was often played by the composer himself. This evening’s duo showcased convincingly Ysaÿe’s masterful arrangement in a lively and subtle performance. Overall, Emmanuel Bach and Jenny Stern delighted the receptive audience with a rich and diverse repertoire spanning three centuries. 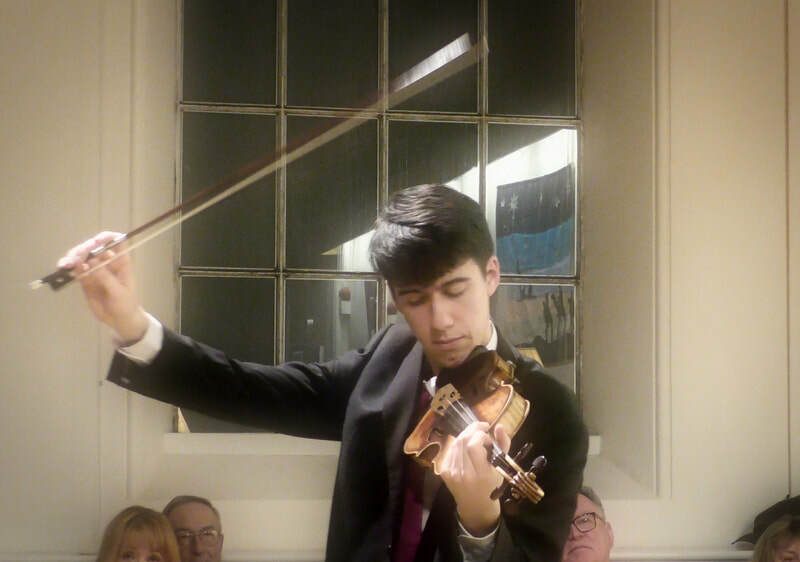 Just to remind you that our next Whitstable Music Society Concert is on Sat 23rd February at 7.30pm at our usual venue and features the remarkable young violinist Emanuel Bach with the pianist Jenny Stern. 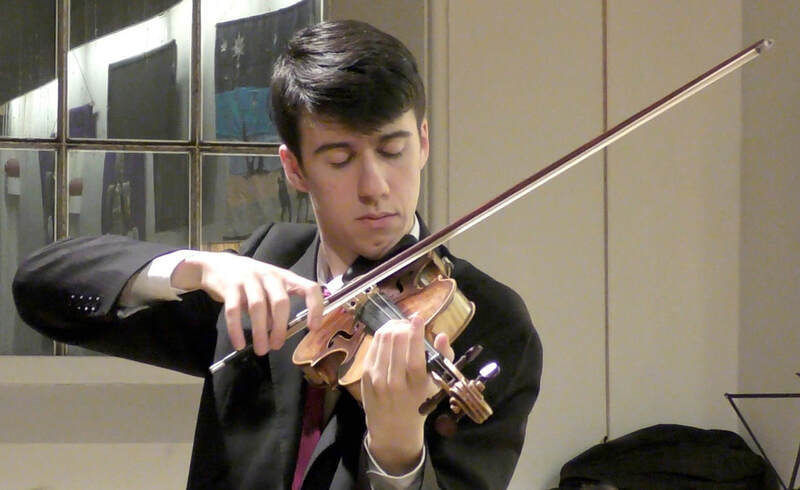 Emmanuel has performed as a soloist and chamber musician at venues including Wigmore Hall, Queen Elizabeth Hall, St George’s Bristol, St Martin-in-the Fields and St James’s Piccadilly. He won the 2018 Royal Over-Seas League String Competition. 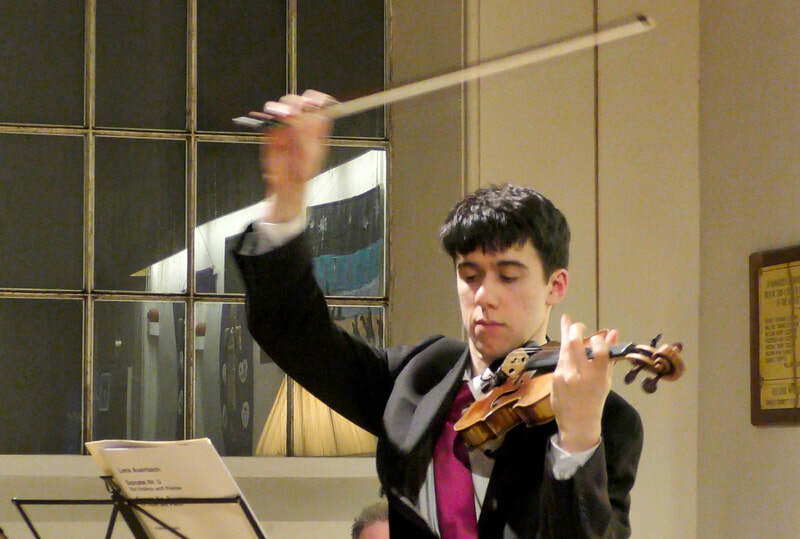 He has performed in the UK and abroad, playing concertos by Brahms, Mendelssohn, Paganini, Tchaikovsky, and others. In 2017, he played in a live-streamed masterclass conducted by Maxim Vengerov, on the Brahms Concerto. 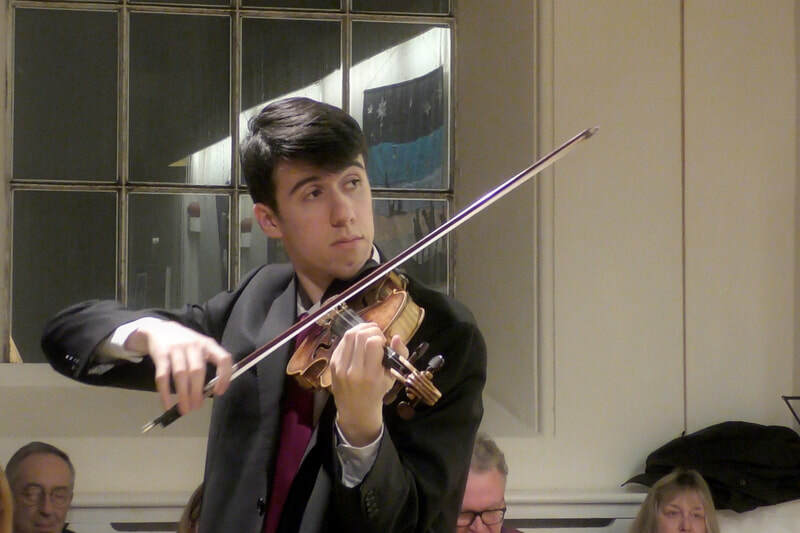 He was notably invited to play as a co-soloist with Anne-Sophie Mutter in Bach’s Double Concerto. Jenny Stern studied at the Royal College of Music under the late Lamar Crowson and subsequently at the University of Natal, South Africa. On graduating, she was awarded the prestigious Emma Smith Overseas Scholarship, enabling her to return to London for further study where she now lives. Jenny is active as a performer, having appeared widely in South Africa and Europe as a soloist and chamber musician, and is an experienced accompanist. She is regularly invited to adjudicate festivals and competitions. Their programme includes both the Beethoven Sonata No. 8 in G and the Debussy Sonata in G minor together with works by J.S. Bach, Lera Auerbach and Ysaye. These musicians have a remarkable chemistry and a wonderful feel for the violin/piano repertoire so this concert is one not to be missed. Our second concert in this current series forms part of The Canterbury Festival and takes place on Saturday 27th October at 7.30pm at our usual venue Whitstable Methodist Church Argyle Road Whitstable CT5 1JS. On this occasion we are pleased to welcome back to Whitstable the wonderful Fujita Piano Trio, one of the most remarkable piano trios of their generation. The Fujita sisters have been playing chamber music together since early childhood and because we recognise the extraordinary quality of their playing, all completely from memory, this will be the third occasion on which they have been invited back to perform for us in Whitstable. This in itself is a mark of the very high regard in which we hold this trio bearing in mind the exceptionally high standards we set ourselves as a chamber music society. In this current season we have decided to draw attention to the work of some exceptional women composers whose remarkable works are sometimes overlooked. 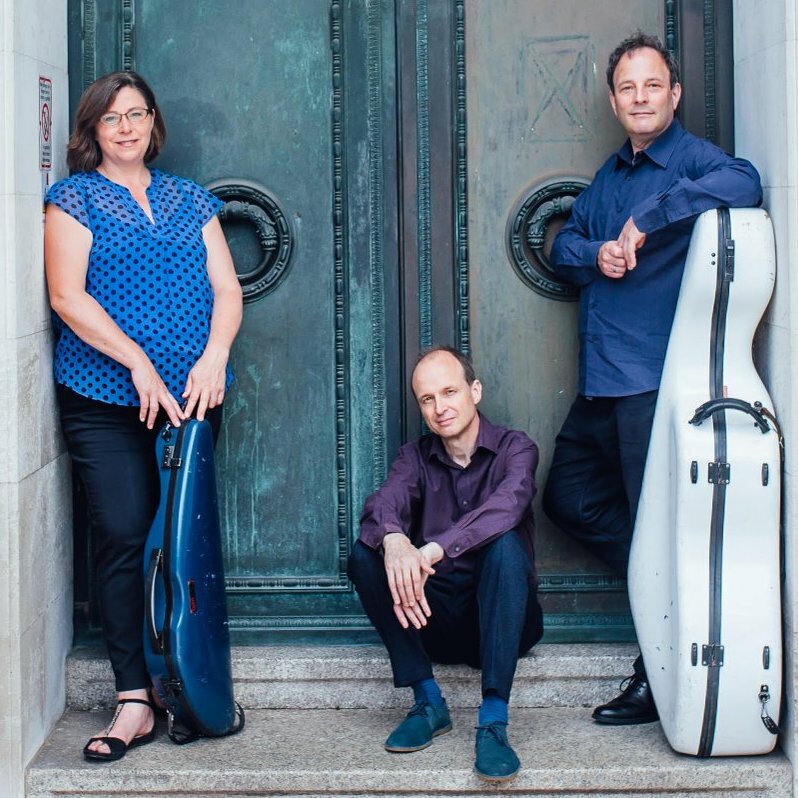 We are therefore delighted that in addition to works by Haydn, Frank Bridge and Felix Mendelssohn the trio have included the remarkable Piano Trio in G minor Op 17 by Clara Schumann. ​Do make a note in your diary and I very much look forward to seeing you on 27th October. 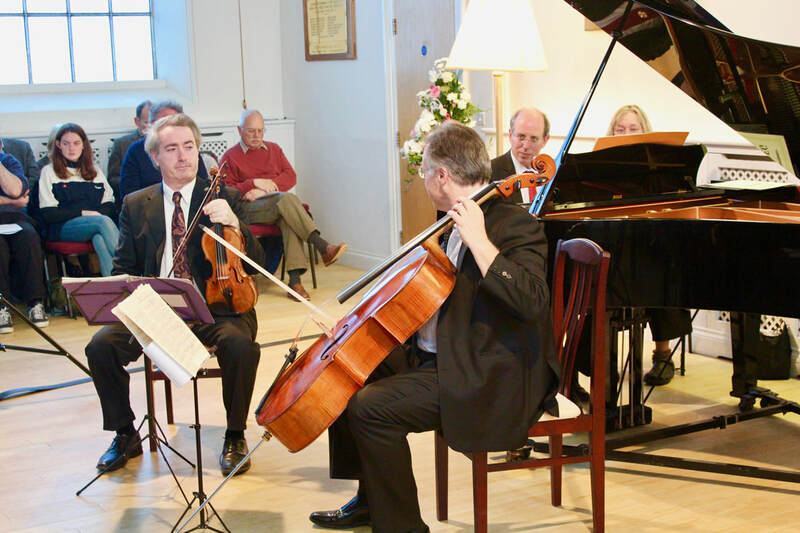 Welcome to a new season of Whitstable Music Society Concerts. Our first concert in this current series is on Saturday 29th Sept at 7.30pm at our usual venue Whitstable Methodist Church Argyle Road Whitstable CT5 1JS. The concert features the Heath Quartet with a wonderful programme which includes the Haydn Quartet Op.71, Tchaikovsky Quartet No.1 and the late Beethoven Quartet Op.132. The Heath first played for us about ten years ago and this will be their third visit to Whitstable Music Society. Since their first visit to Whitstable they have developed their own very distinctive voice and are now one of this country's most sought after string quartets with a strong and growing international reputation. More information about the Heath and their programme by using the links below as well as details of the other concerts in our current season. Do make a note in your diary and we very much look forward to seeing you on 29th September.